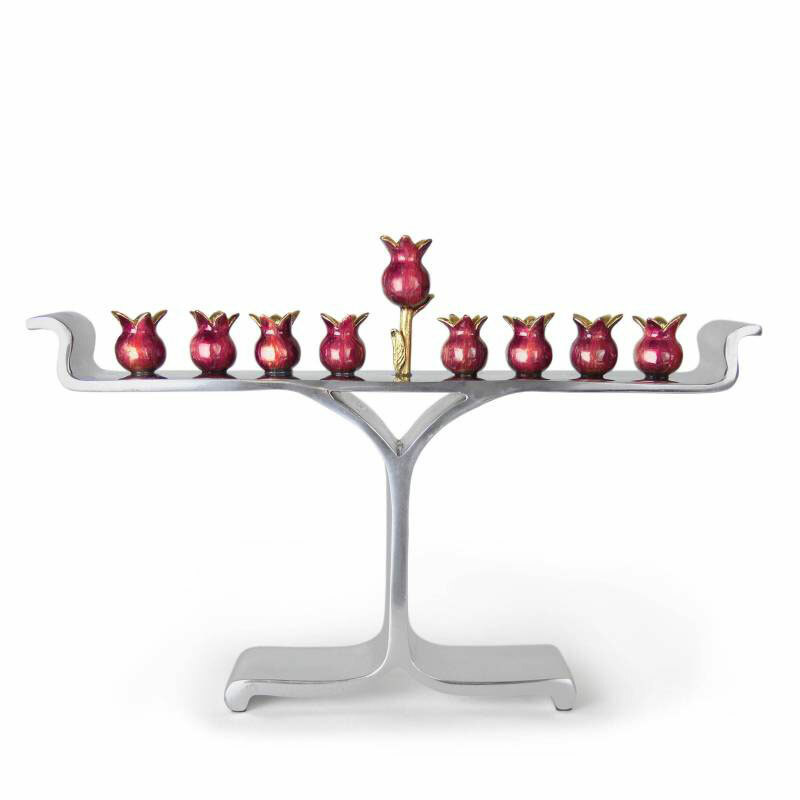 The pomegranate menorah is both traditional yet incredibly modern in its design. With a sleek aluminum/pewter base, eight, luscious red hand sculpted pomegranate candle holders sit along the straight edge. One is slightly elevated on a gold, leaf-like stand to serve as the shamesh. Dimensions: H 7.60" W 2" L 11"